How have human societies been connected throughout history? History and International Studies at the Vrije Universiteit Amsterdam is a unique programme that combines perspectives from history and the social sciences to help understand how human societies have been connected throughout history. The programme offers a combination of history courses, modern language units and research skills from the fields of global history and international relations. It is taught by a highly motivated staff, strongly committed to teaching excellence and the learning experience of their students. How has democracy become a global standard while other modes of government are considered deviations? How did decolonization influence the relationship between Europe and Asia? What are the historical origins of global inequality and climate change? History and International Studies is an excellent choice for students interested in learning about the historical origins of global society from an interdisciplinary perspective. Courses discuss the history of Europe and the world from antiquity to the present. Students also choose from four tracks: Politics & Economy; Migration & Ethnicity; Culture & Religion; Heritage & Memory. In addition, students choose a modern language, learn about different approaches from the fields of international relations and global history and are trained in academic skills. In year 3, students can also study a semester abroad, take an internship or choose a minor. History and International Studies is a three-year BA programme. 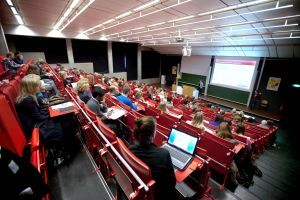 It starts with a broad-based first year that covers the history from antiquity until the present, followed by a year in which students choose a specialization, and finishes with a thesis on a subject of ones choice in Year 3. In Year 1 students take courses on the history of antiquity, the medieval period, early modern history and modern and contemporary history. Throughout this first year European developments are studied in relationship with Middle Eastern, Asian, American, and African developments. Students are introduced to the field and approaches of global history and taught to reflect on the relationship between history and contemporary debates on issues such as democracy and authoritarianism, global inequality, or climate change. From Year 1, students are also trained in Academic English as well as in research and writing skills. In Year 2, students choose two units of a modern language. They also take mandatory courses on history and theory, international relations, global political economy, and on the methods of the historical and social sciences. Students learn to apply these methods to analyzing interactions between individuals, states, societies and international organizations. They are also offered a range of electives, organized in four tracks: Politics & Economy, Migration & Ethnicity, Culture & Religion, and Heritage & Memory. A BA in History and International Studies provides a foundation for an MA in history, heritage studies, or international relations, or a career in education, research, at NGOs and international organizations, museums, heritage foundations and media. Why History and International Studies at the VU in Amsterdam? The small scale of the programme offers close interaction between students and staff, several of whom have won University Teaching Awards for outstanding performance and dedication to undergraduate education at the VU. The staff of History and International Studies cooperates with different public and private organizations as well as with the Rijksmuseum, Tropenmuseum, the Anne Frank Huis and many other research and heritage institutions. 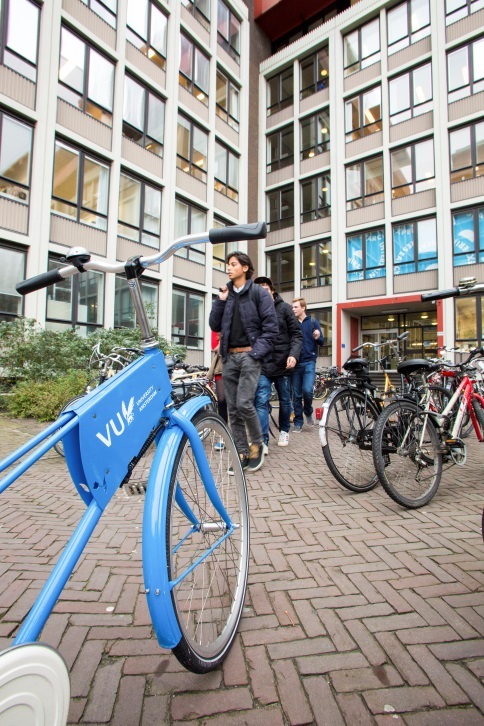 The Vrije Universiteit is located in Amsterdam, a city with international and historical allure. The internationally oriented VU campus offers easy access to the city and its historical sights, archives, NGOs and museums.